Scores of frustrated and aggrieved contract staff of Whyte Cleon Ltd, an insourcing subsidiary of First Bank Plc, yesterday protested their sudden disengagement from the company. The workers, from various branches of the bank in Ibadan said their sudden disengagement came at a time their appointments were to be regularised. They lamented that some of them had been working as contract staff for the past nine years and wondered why they were just thrown out of the bank without any prior notice and appropriate severance package. 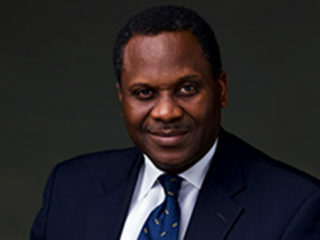 Addressing a press conference at the Correspondents Chapel in Mokola, Ibadan, the protesters, who spoke through Aleem Waheed, insisted that they were not engaged by Whyte Cleon Limited, but were employed by Insourcing Limited, a subsidiary and Human Resourcing arm of First Bank. They added that they had worked for and were being paid by First Bank Limited. The inscriptions on some of the placards read: No To Modern Slavery By First Bank, Pay Us Our Nine Years Benefits, If You Must Sack Pay Our Entitlements, FirstBank Engages In Modern Slavery and Pay Your Support Staffs Their Entitlements After Nine Years. Waheed stressed that the disengaged staff had varying years of service ranging from between seven to nine years and none of them was sacked based on incompetence or misconduct. 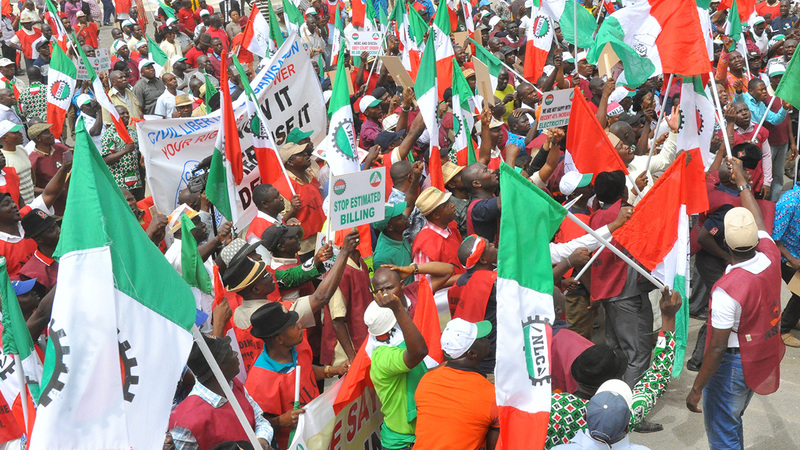 Meanwhile, Labour unions in Kogi State yesterday asked the Federal Government to urgently send relief materials to their members who have become victims of what they described as an artificial disaster occasioned by non-payment of salaries. Members of the union have lamented that the prolonged non-payment of salaries in the state had sent many of them to their early graves. The leaders likened their sufferings to that of refuges in the Internally Displaced People’s (IDPs) camps in the country. The unions, comprising the Nigeria Labour Congress (NLC), Trade Union Congress (TUC) and the Public Service Joint Negotiating Council (PSJNC) had declared an indefinite strike on Friday, September 22, 2017. 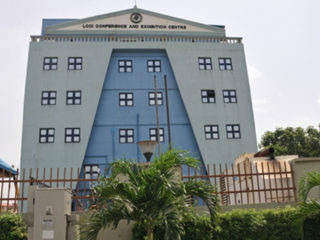 Their demands included full payment of all salary arrears owed workers, stoppage of the clock-in-clock-out electronic register, which they said was aimed at casualising workers and discontinuation of the contributory pensions scheme.